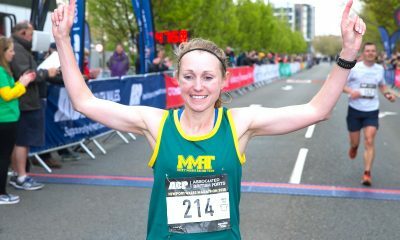 Natasha Cockram looks back on a time when she only identified herself as a runner and stresses why it’s important to have interests outside of the sport too. We are surrounded by the attitude that the harder you work for something, the more successful you will become. Don’t get me wrong this is a great attitude to have, however it is an attitude that can easily be taken too far. 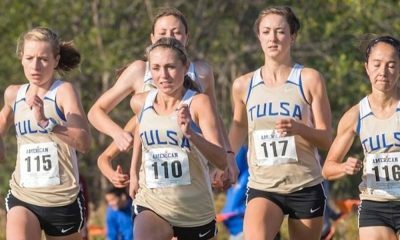 After making the decision to focus on running, my life went from being that of a typical 18-year-old to becoming a promising runner who had just secured an athletics scholarship at the University of Tulsa in America. I quickly found myself surrounded by other runners who lived and breathed running, being a runner slowly turned into my only identity. Many would argue that having a strong athletic identity is a necessary requirement for being an elite athlete. I agree this is important as it offers many advantages including commitment, focus, motivation and the discipline necessary for intense training. However, I believe like most things, balance is key. Having too strong an athletic identity may result in being overly committed to the role, resulting in sometimes dangerous and dysfunctional practices like overtraining and other detrimental behaviours; and that’s exactly what I fell into. I went from running 40-mile weeks to consistently hitting 80 to 110 miles a week. Not only did my mileage dramatically increase, but the speed of each run did too! I was training harder than ever, yet my times were getting slower (a typical indicator of overtraining) along with insomnia and a weakened immune system, meaning I was picking up colds and viruses more than previous years. The slower I became, the more I trained, brainwashed into believing that the harder I worked the more successful I’d become. After a bad race, I would tell myself that I needed to work harder. Instead of giving my body time to recover, I would continue to train harder. Like many of my fellow teammates, everything revolved around being a better athlete. I would avoid going out and doing the things a normal university student would do because I thought it may be detrimental to my running. I would often think to myself, “is this worth it?” but I didn’t want to let my team, myself or anyone else down. And, if I stopped, what would I do anyway? I’m not the sort of person who can sit around and be satisfied watching television. Running had become my only identity! It was a vicious cycle which inevitably led to an injury during my senior year. I ignored the signs, I ran through the pain, recklessly cross-trained and raced with the help of ibuprofen and cortisone shots. I hobbled around my final American Athletic Conference Championships. If anything, it was a relief crossing the finish line knowing I’d never have to stand on a start line again. I didn’t want to do this anymore, for I realised it was making me miserable. I dreaded races, training was a chore and I was losing the daily battle against the constant pain. I didn’t want to live like this anymore, so I quit! I stopped running for three weeks and I wasn’t the only one. Along with a couple of other teammates, we decided we wanted to go out and be “normal students”, so that’s what we did! However, the scars of the last four years were clear for all to see. One of us was wearing a boot for a fracture, one on crutches and the others in trainers as any other shoes were just too painful. Three weeks of eating and living a ‘normal’ student life was great, but then it was time to leave for summer break. After a few days misery hit again, I had nothing to do, no purpose and no identity. So, I turned back to running! Once again, the miles rolled by battling the same demons that had made me quit just a few months back; until one day I was a mile into a run and the pain hit so hard I had no option but to stop. Then came the dreaded words no runner wants to hear “you will never be able to run again”. Unable to digest this information I left thinking “this doctor doesn’t know me, she doesn’t know anything about running”. I refused to accept it and eventually I met Dr Boone who was willing to give surgery a go. What was supposed to be a simple keyhole surgery to find out what was causing the pain turned into six hours on the operating table. After waking up from surgery but still under heavy anaesthesia, I vaguely remember hearing the surgeon tell me I may run again. The rehab began, and the slow process of walking on crutches and teaching my body how to run again started. What should have been a slow and steady progress, quickly turned into a race to find my identity once again. My ‘train harder do better attitude’ quickly returned. Soon enough I got ‘healthy’ but the vicious cycle of overtraining returned. And again, the inevitable happened and I spent the next six months never 100% fit. I returned home still injured and unable to compete, so I was forced to get a job. Being ‘forced’ to get a job was the best thing that could have happened to me. I started working at a local stable. I had always loved horses but running had forced me to move away from it. I loved having something else other than running to do, and I met so many new people who weren’t runners. For me this was a turning point, I felt like I was finding myself again after getting so lost and swallowed up by running. I couldn’t run but I finally had something else in life – a job, a new hobby and new friends. I felt healthy for the first time in a long time and so I decided to run again, but this time for myself, and with no outside pressures. I had my new interests to help balance my life and was eventually persuaded to join the Micky Morris Racing Team (MMRT). I joined their sessions and enjoyed them; I started mountain and trail running which was also a breath of fresh air. Times were irrelevant when it came to mountain running which meant bad performances didn’t exist. I loved being back racing, it helped fuel my competitive personality. The flame was reignited, I decided I wanted to give running one last shot. However, this time I would listen to my body and do things differently. I didn’t want to fall back into the trap of running ruling my life, I made sure I kept the right balance between work, running and my hobbies. In 2017, I decided to fulfil a life ambition and run a marathon. Even though my time in Dublin wasn’t particularly fast, it was my best performance since I was a junior. Following this, I picked up an injury, but this time instead of running through it, I spent hours on the cross trainer which I strangely enjoyed. 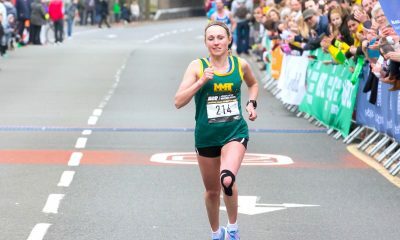 I then ran the Newport Marathon and ran a personal best! At this point, I thought maybe I should take this more seriously. Choosing a coach was my next step, I found this extremely difficult as my last coaching relationship at Tulsa was not one full of trust. Trust is a major factor when it comes to an athlete-coach relationship. I had known of Tony Houchin, as he recruited me to go to The University of Nevada, Las Vegas but we both ended up going our separate ways. Tony moved to The University of Alabama which was in the same conference as The University of Tulsa. Therefore, although I had never properly met him, we often exchanged hellos at races. I was aware of athletes that Tony took on and coached, so I knew he was a good coach. We occasionally kept in touch via messenger; although it took me some time to make a decision, I finally decided to message Tony with the hope that he’d still want to coach me, He accepted and since we began working together in July, I have set a personal best in every race I have run. I maintain the work hard attitude, as it is true you’ve got to work hard for things. However, I have learned there is a massive difference between working hard and overtraining. The first thing he changed was that he slowed down all my recovery runs so that I could actually recover from my hard workouts. Even though I train every day, Tony has taught me to be sensible. If I’m feeling tired or something hurts, I will take it easy or cross train. If I am hungry, I will eat or if I am craving something unhealthy, I will eat it. We will talk weekly or whenever we feel we need to. If I have a bad workout we talk and we move on; there is no self-punishment or no awkward silent treatment (in fact the complete opposite – if anyone knows Tony, he can talk- a lot!). We will talk about running, but will also talk about life in general, as it all has an impact on training and racing. I have finally found the right balance in my life which I have been looking for since the age of 18. I am fortunate, in that my friends and family understand my busy schedule, some would say I do too much, which maybe I do, but I’m happy and love everything I do. How do I identify myself now? So, if you were to ask me now what I identify as, I would say I am still a runner, but the only difference is now I am proud to say that. I love running and it’s where my focus lies, but I also have so many other things in my life. Running has gone from ruling my life to giving me a sense of freedom. Understanding the role athletics plays in my life has been an important factor in my continued success. Knowing that while I strive to become the best athlete I can be, not being solely focused on the outcome, but rather the process, is what inevitably matters in the end. Finding balance and striving to be well rounded in all aspects of my life is what currently matters to me and where I find peace. 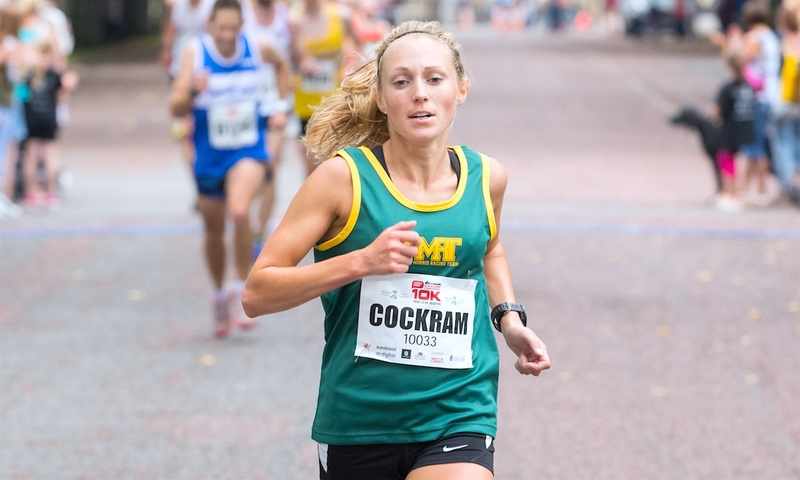 Natasha Cockram features in the ‘Fast 10: class of 2019’ and over the course of the year will share her running journey. You can follow Natasha on Twitter and Instagram, while further information about the ‘class of 2019’ can be found here.